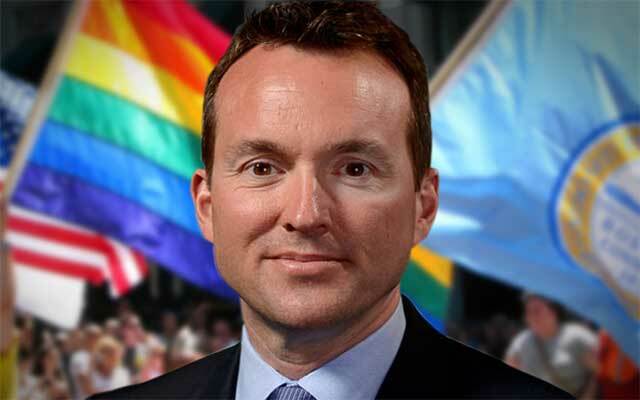 For the first time ever, the United States has an out gay man, Eric Fanning, as Secretary of the Army. The move comes five years after the repeal of “don’t ask, don’t tell,” a policy in which military members had to keep their orientation private from coworkers and the public. Fanning was nominated by President Obama and was unanimously backed by the U.S. Senate, eight months after the official nomination. The confirmation hearing had no discussion of Fanning’s sexual orientation, but rather his 25 years of national security experience as undersecretary and acting secretary of the Air Force. There was also no discussion about transgender members of the military, although, The Advocate reports, activists hope that will change rather soon. The reason it took eight months for the confirmation was because of a hold up by Sen. Pat Roberts, due to a dispute with the Obama Administration on Guantanamo detainees. Roberts held up his nomination to underscore his opposition to any possible transfer of prisoners, Vice reports. John McCain, a strong supporter of Fanning’s nomination, grew frustrated at the long awaited time. So this week, both McCain and Roberts appeared in the Senate together for Roberts to announce that he released his “hold” on Fanning’s confirmation. McCain assured everyone that the National Defense Authorization Act ensures the Obama administration doesn’t have authority to release or transfer Guantanamo detainees to the U.S. mainland. Fanning will officially take over the position from former secretary John McHugh.